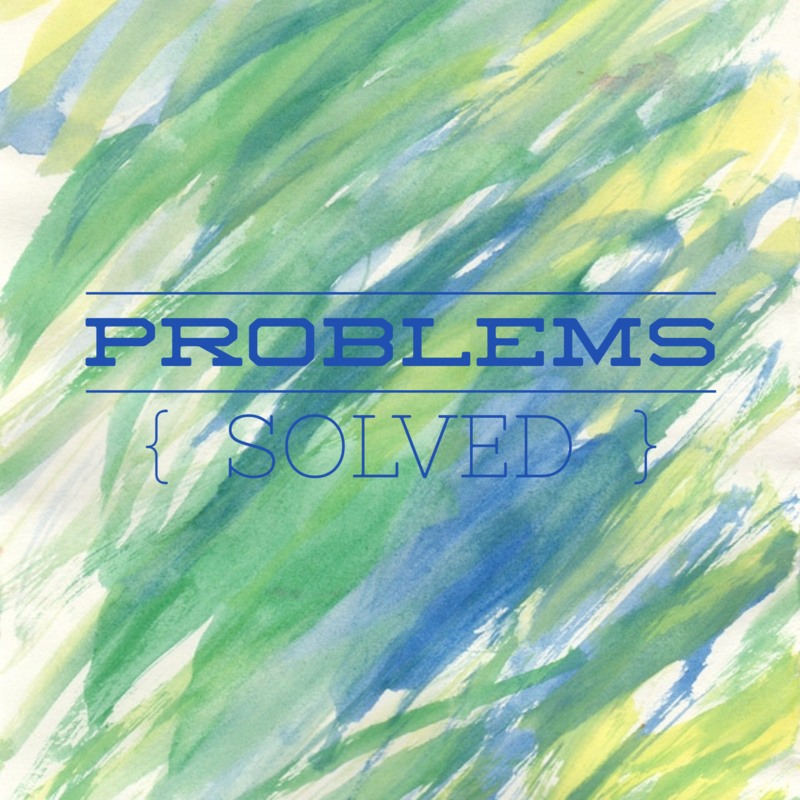 I’ve solved a couple of world problems this week and I want to let you in on them so that you, unlike me, don’t waste a lot of your time endlessly researching the internet trying to find solutions to your vexing problems. You will thank me, I promise. First off, we discovered on Wednesday that someone who will not be named had left the upstairs freezer accidentally not all the way shut. We use this freezer to store important items like the bottle of holy water I scooped out of the Jordan River in 2008 while on a trip to the Holy Land with my mother and two oldest girls. They were selling holy water in the gift shop, which you had to exit through in order to leave the park, I mean historical site, but it about $10 US dollars a bottle, and I had an empty water bottle in my travel bag. I walked into a shallow section of the Jordan and promptly lost my footing on the algae, but I recovered in time to scoop my holy water out, screw on the lid, and hide it in my purse. I did not purchase the baptismal package which included a white paper robe, as I was baptized at the age of 9 when I asked Jesus into my heart at First Baptist Church, Abilene, Texas. Now that I’m no longer a Baptist, and all three of my girls were baptized as infants, I thought it would be cool to be able to baptize my grandchildren with actual water from the Jordan River, because Jesus actually was in that river and if He touched it, it has to be extra special. My girls have all since been baptized by immersion as they came to faith and wanted to practice the symbol of believer’s baptism. Both are just symbols, and it’s okay. So my holy water unthawed but was unharmed. Whew! The other items we store in the upstairs freezer didn’t fare as well. The remaining venison, duck, quail or dove left from last year’s hunting season also unthawed and sat in the now-warm freezer from Sunday night to sometime Wednesday evening. To say that it smelled like someone had stored a dead body in a closet for a week might be an understatement. It was the most disgusting smell and mess I can remember. Will and I trashed all the bad meat, and carried it out to the garbage (which doesn’t go out until Monday afternoon) so you can just imagine the smell of our garbage cans today as they went to the curb. We didn’t have time to do a proper cleaning of the freezer at that point, so we shut the door and went to bed. The next day when I went up to tackle the cleaning, it quickly went downhill. I got everything cleaned up on the inside, but it still smelled really badly, so I decided to pull it out from the wall and make sure nothing had leaked underneath it. This was a profound discovery and a huge mistake since Will was at work and once I discovered it I had to be the one to clean it up. The contents of the freezer which had unthawed had leaked under the freezer onto the laminate floor. I proceeded to clean this up, which was literally terrible, but it still smelled. I noticed that in the corner, it appeared that the leak might have gotten under the flooring and onto the subfloor. I won’t bore you with the details, but after I had taken up the flooring down to the subfloor, I realized we would have to replace the flooring in the laundry room. So, world problem #1 I solved: If you have a freezer that has a lock on it with a key that you can use to make sure the door is fully shut each time you open it, LOCK THE FREEZER EVERY TIME YOU SHUT THE DOOR SO YOU KNOW IT IS FULLY SHUT. You will thank me every time your meat is still frozen when you open it. Secondly, I have finally discovered how to clean glass shower doors. Let me back up to say that we updated a very outdated master bathroom last year. I had never really cared about keeping my shower doors clean because they were not real glass, they were textured, and they had been there for 20 years and weren’t clean when we bought the house. Once we gutted that bathroom and installed a new, pretty glass shower, I dutifully bought the squeegee that everyone says you must have to clean the doors. I used it faithfully for a month or so, but then I got lazy and didn’t squeegee so much. I noticed that the glass wasn’t as clear as it used it be, so I have cleaned it with Windex, CLR, vinegar, vinegar and water, and a host of other expensive cleaning products that were supposed to work. They did not. I tried RainEx. I tried fine steel wool. Nothing would get that hard water, calcium, build up off the glass. Today I spent many minutes on the internet researching people’s thoughts on this pressing issue. Someone suggested HOT vinegar and Dawn original dish soap in a spray bottle. I am pleased to say that it worked. I had to do it a couple of times, and I had to scrub it with fine steel wool and a textured Mr. Clean pad, but it looks almost brand new. I’m not sure what it is about hard work that feels so fulfilling. Obviously, I haven’t cured cancer or anything really important, but I have worked really hard this week solving problems that have happened in our house. It wasn’t creative or financially productive, but it sure does feel good to have done hard work. In the creation account found in Genesis, we learn that God worked to create the earth and everything in it and that when He banished Adam and Eve from the Garden, it was to a life of work. Work is God’s gift to us. When we work, we are reflecting the character of God. Work is good for us. One of my professors at Gordon Conwell taught that “when sin entered the world, it corrupted everything, including work. Instead of joy, work is tainted by sin. It is difficult, exhausting, and aversive. All work, no matter how sure we are that God has called us to it, has moments when it is hard, routine, restrictive, boring and lonely. We can love our jobs. We can feel called to do what we do. And it can still be hard. We can have jobs we don’t love or even feel particularly called to. We can have a job that we don’t like. Work is complicated, isn’t it? In Colossians 3:23, Paul says “Whatever you do, work at it with all your heart, as working for the Lord, not for human masters”. So this week, I cleaned out a freezer and cleaned glass shower doors for the Lord. And it felt really good. What kind of work did you do this week to the glory of God?